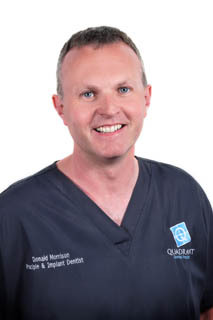 Donald Morrison (73374) is the principal dentist and owner of Quadrant Dental Practice. Donald gained his BDS from Dundee University in 1997. He completed his vocational training at the John Radcliff hospital in Oxford and then moved to London where he ran his own, successful dental practice until he sold it in 2007 to return home to Scotland. During his time in London providing high quality NHS and Private dentistry, he developed an interest in cosmetic and implant dentistry together with facial rejuvenation techniques. He trained at the Bob Khanna institute of facial aesthetics in London and now carries out advanced facial treatments including cheek fillers (liquid facelift). He has a Postgraduate Diploma in Hypnosis applied to clinical dentistry from the University College London which he uses to relax and treat anxious patients and a second Postgraduate Diploma in Aesthetic Implant Dentistry from the University of Lancashire. He has also trained extensively with experts Worldwide and has complimented his vast experience by completing a Masters in Aesthetic Implant Dentistry at the University of Lancashire. He takes great pleasure in working with ground-breaking dental techniques to provide excellence in treatment for patients in a gentle and caring approach that is second to none. 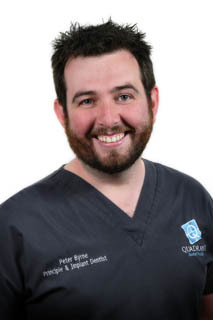 Peter Byrne (85409 is also a principal dentist and owner of Quadrant Dental Practice. Peter qualified from Glasgow Dental School, gaining a distinction in his final year. After working in Glasgow for several years he moved to work in Ayrshire to pursue his interest in Aesthetic Dentistry and complex Implant Rehabilitations. 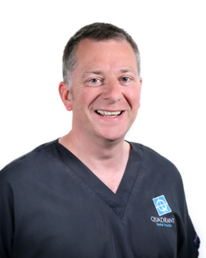 He joined the Quadrant Dental Practice in November 2011 to build on and compliment our experienced Implant team and is a real asset to the practice. He has trained extensively with experts Worldwide and has complimented his vast experience by finalising his Masters degree in Aesthetic Implant Dentistry. His work ranges from single tooth replacements to complex full mouth rehabilitations, involving implants and cosmetic dentistry using metal free restorations. Furthermore, Peter uses the very latest technology and techniques, including surgical magnification, for his interest in endodontics and thus enjoys treating the more complex cases. He is also fully qualified to provide facial rejuvenation treatments having trained extensively with specialists in the field. Peter’s philosophy as a dentist is to treat patients as you would expect to be treated yourself, employing a gentle and friendly approach. Kirsty graduated from Glasgow University in 1994 with a degree in Dental Surgery. 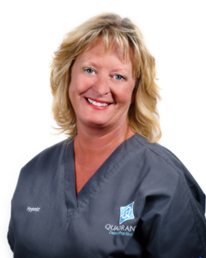 After working in Ayrshire as an Associate General Dental Practitioner, she joined the Quadrant Dental Practice in 2000. She has been looking after her patients since then offering them continuity of care over many years. 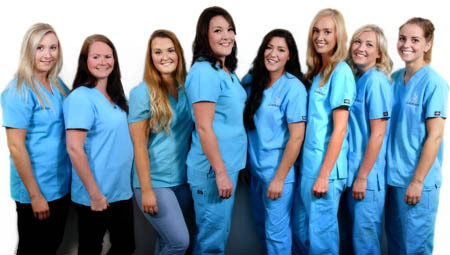 Kirsty enjoys all aspects of general dentistry and carries out treatments under both the NHS and Private sectors, including treatments such as teeth whitening and replacing amalgam fillings with white fillings. In 2007, Kirsty returned to Glasgow University where she gained a diploma in Forensic Medical Science. Conor has worked with a large number of patients across Scotland and specifically enjoys aesthetic and cosmetic dentistry and giving patients their dream smile. Since graduating from the University of Dundee in 2011 with commendation, he has continued to develop and enhance his skills and is currently working towards a Masters Degree which will enable him to further his ability to provide more complex treatments with the latest dental techniques. He specifically enjoys working with patients that are anxious of dental treatment, those who have had previous bad experiences at the dentist or have problems with their smile that they are unsure of how to fix. Conor is a firm believer that patients come first and has an outstanding ability to engage with his patients, putting them at ease and takes the time to ensure that every detail of their treatment is correct. He was also shortlisted for ‘Scottish Young Dentist of the Year’ at the Scottish Dental Awards in 2015 and has heavily contributed towards communication training for other dentists all over the country. Elliot graduated from Dundee University in July 1997 and moved to work in Edinburgh as an associate for several years. In 2008 he became a partner of the Meadow Dental Care Practice. He recently decided to return home with his family to Ayrshire. Elliot has over 18 year experience in both Private and NHS Dentistry, and has kept developing his knowledge by attending regular postgraduate courses, including a Nobel Dental Specialists course in Implant Restoration. He has a particular interest in cosmetic dentistry and helping patients smile with confidence again! Outside work he enjoys playing golf, cycling, and spending as much time as possible with his wife and two young boys. Elaine Anderson (2620) graduated from Glasgow Dental Hospital in 1982. 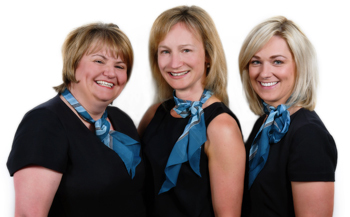 Elaine joined the team in 1996 and is a highly experienced hygienist specialising in all areas of oral hygiene and periodontal disease, as well as supporting patients to find techniques which can be used at home to keep the teeth and gums healthy and clean.